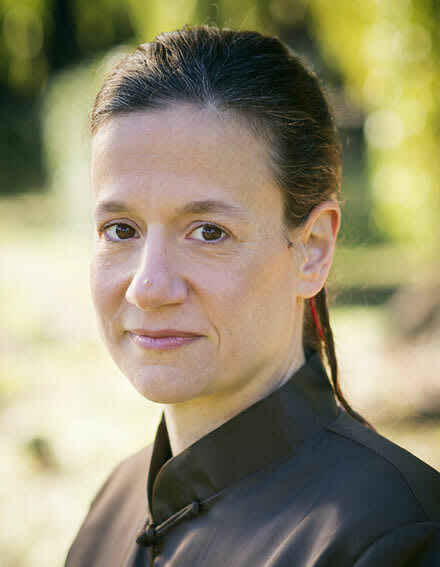 Suzanne Moschetto Fries began her martial arts career in 1995 studying Northern Shaolin Kung Fu and later Ch’iang Shan Pa Kua Chang in 1998 under Chief Instructor Shifu Ahles of the Blue Dragon School of Martial Arts. She achieved her black sash in Pa Kua Chang from Shifu Ahles in June 2003, became an official student of the Ch’iang Shan Pa Kua Chang Association under Master Park Bok-Nam in June 2007 and later 8th generation lineage disciple in June of 2014. Her 8th generation name given to her by her teacher, Shifu Ahles is Ding Ming. With over 22 years experience Mrs. Fries continues her studies. She currently is the Program Director and one of the apprentice instructors at the Blue Dragon School of Martial Arts under Shifu Ahles.